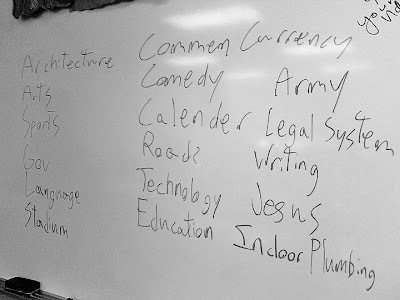 5th period today brainstomred the many ways that the Roman World has influenced the modern world. I snapped a picture of the board and uploaded it here. Can you think of any other ways? Can you see Roman forms in these very local and national symbols shown below?